Note: * This manual is applied to green PCB control board delivered before March 2016. * If you had upgraded your bluetooth module or you received your Dobot after March, this procedure is not required. 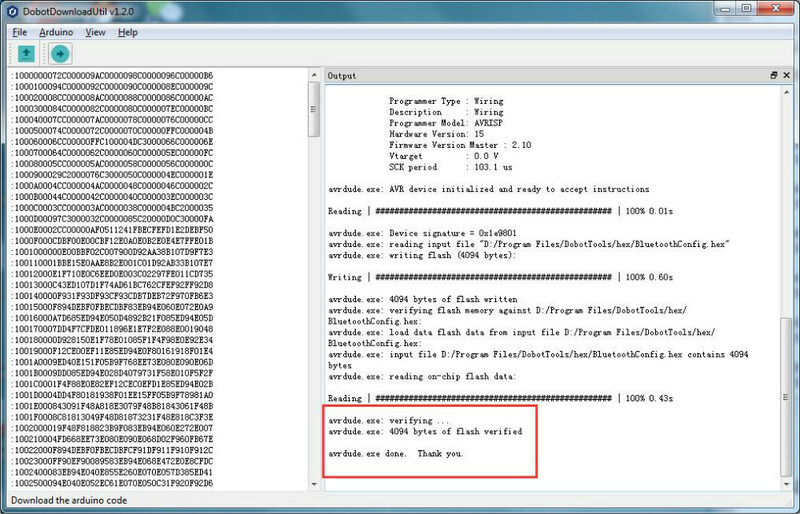 The original firmware is using the 256000 baud rate while the latest version using 9600. The latest version of baud rate will be more stable and also support more for IOS APP. 1.There are two pads on the back of Bluetooth module, shown as Figure 1. The Bluetooth module enters the command mode when powered up with pads connected. 2.Insert the bluetooth module into the right area of the Dobot Controller after the pads connected, shown as Figure 2. If the blue LED is on and doesn’t twinkle, then the module entered the command mode. If the blue LED twinkles, which hints that the pads’ not connected successfully, please redo procedure (1). 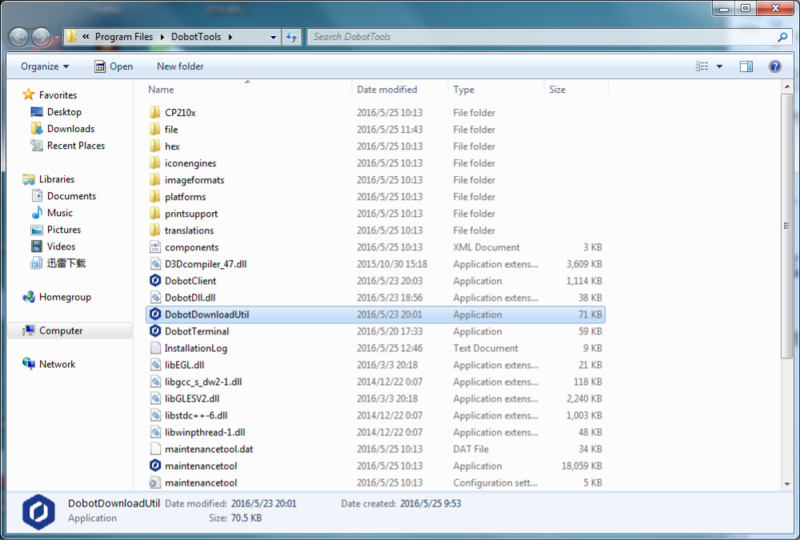 1.Download the latest DobotTools from Dobot official website and unzip it, you can download it here: http://dobot.cc/cn/download The folder structure of DobotTools as follows: 2.Double click DobotDownloadUtil.exe to open it and click open button to open the hex file, shown as figure 4. 3. 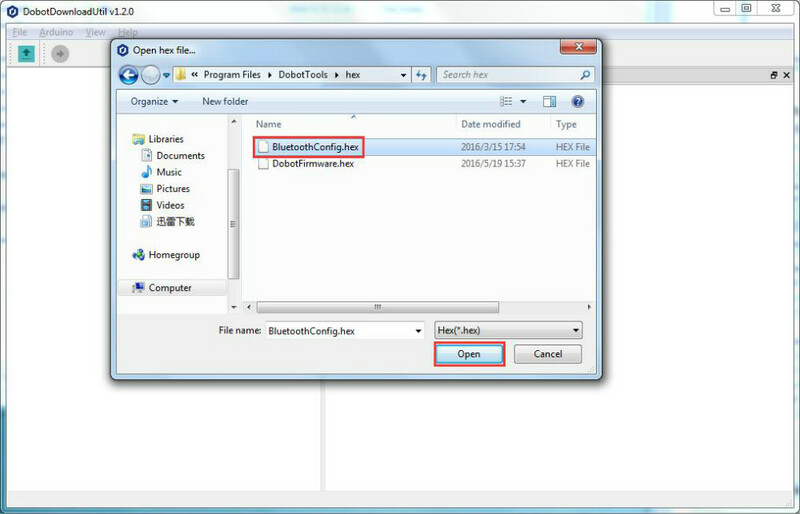 Locate the "BluetoothConfig.cpp.hex" file under the "DobotTools/hex" directory, shown as figure5. 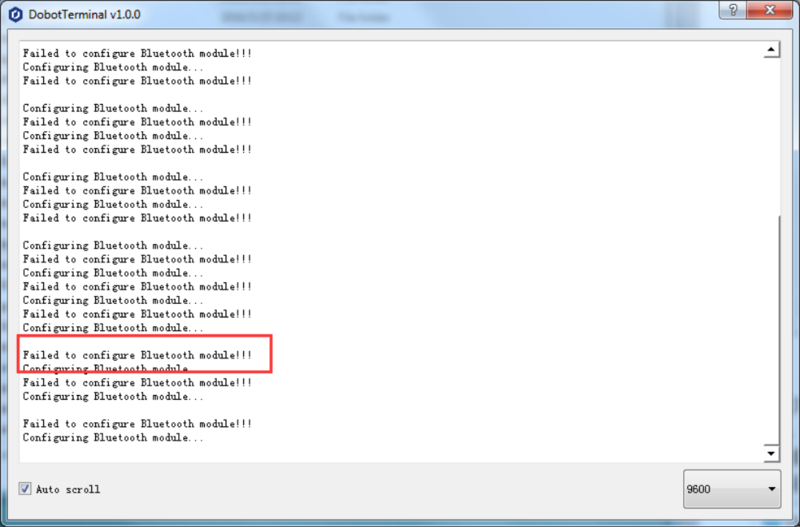 4.Download the "BluetoothConfig.cpp.hex" and check the result. 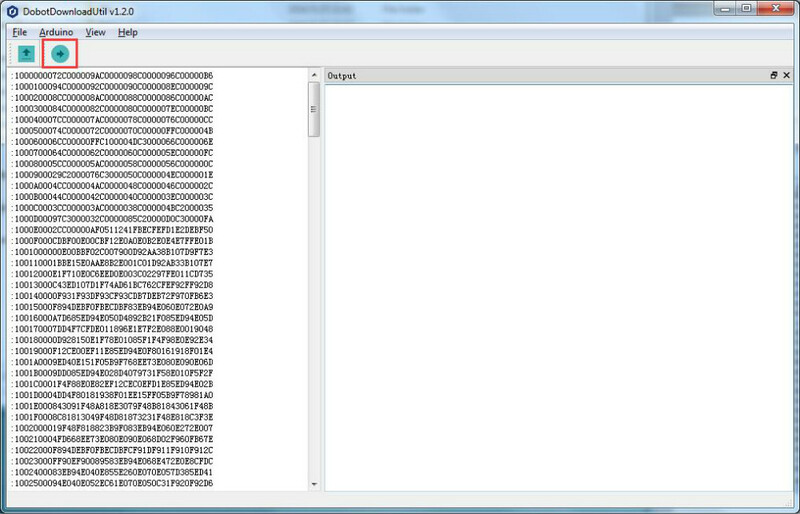 1.Open "DobotTools/DobotTerminal.exe" after downloading the "BluetoothConfig.cpp.hex", and alter the baud rate to 9600, shown as Figure. 2.After the baud rate was changed, DobotTerminal prints the feedback of the Bluetooth configuration. 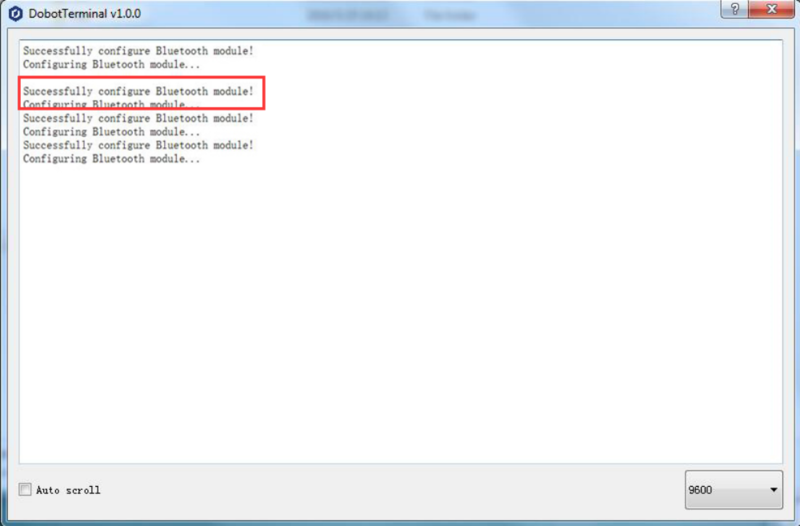 If the terminal prints "Successfully configure Bluetooth module! ", then the module was configured successfully. If the terminal prints "Failed to configure Bluetooth module!!! ", then we have to reconfigure the module from 0, and check whether the Bluetooth command mode was enabled. 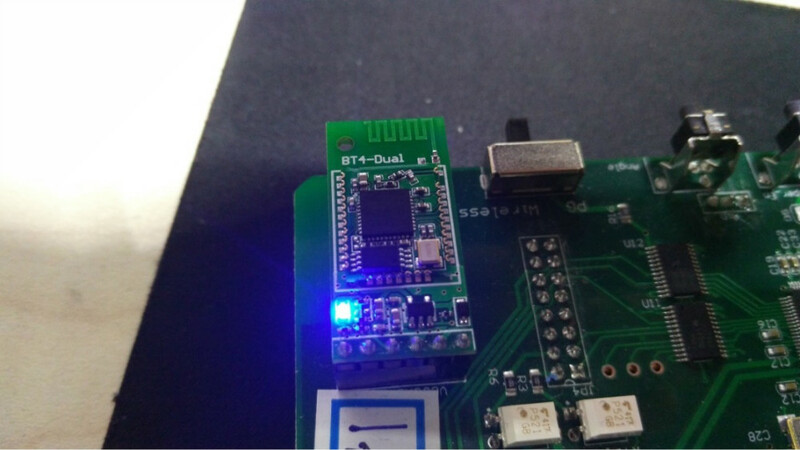 We connected the two pads of the Bluetooth module to enable the command mode of it. Now we must restore the data mode. Just disconnect the two pads! 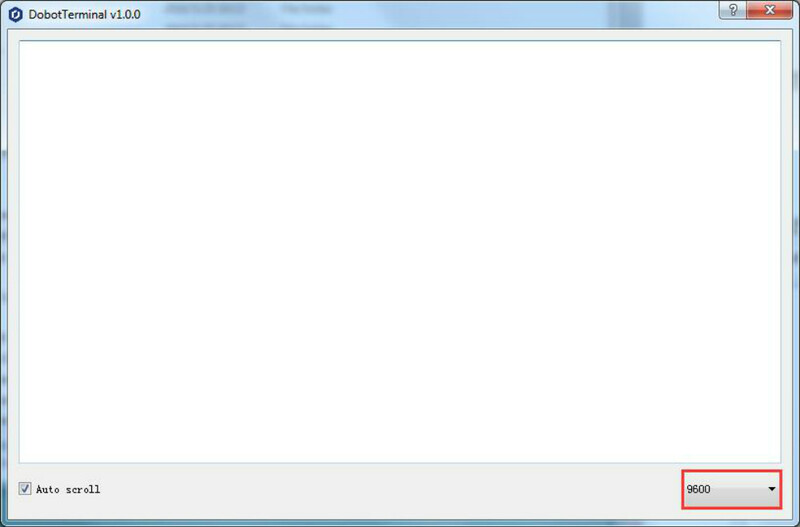 When we reach this step, we can download the newest firmware of Dobot! 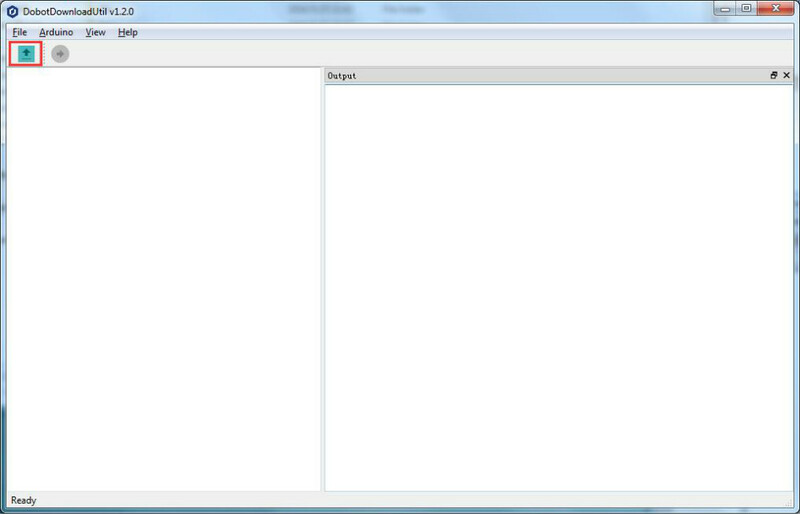 The newest firmware is "DobotTools/hex/ Dobot_V1.1_201603151752.hex". You can follow the steps of 2.2.